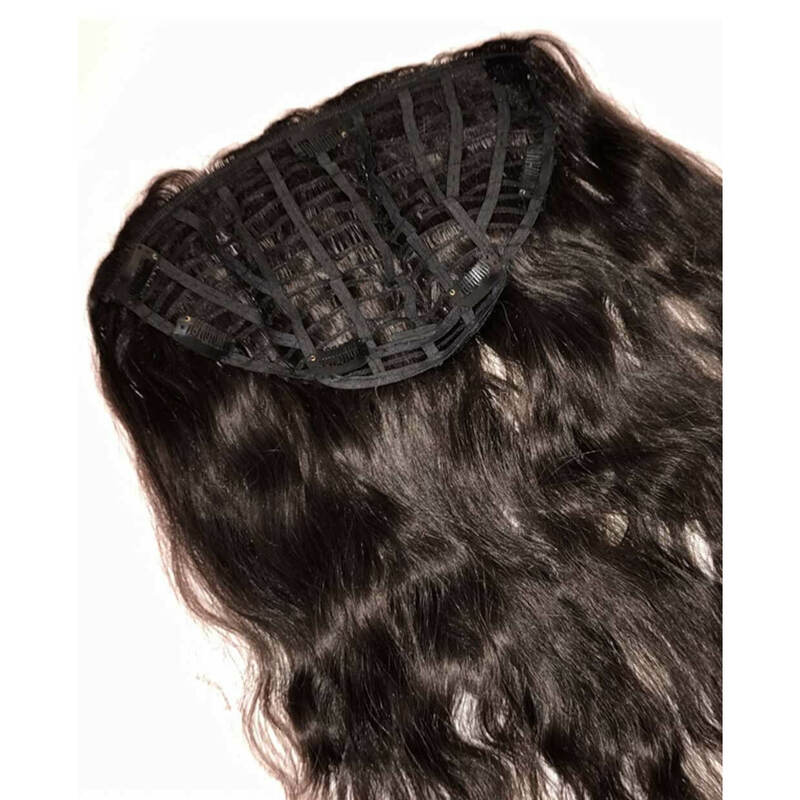 Indian hair and premium clips used to create a hair clip extension that is easy to install and comfortable to wear. 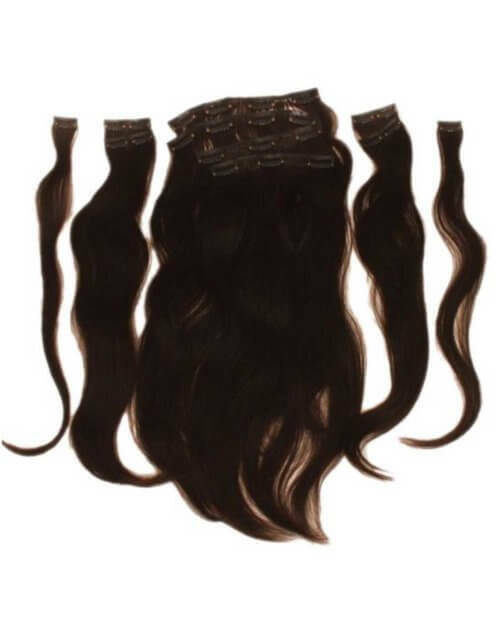 Our clip in hair extensions are made from 100% human Indian hair and come in 8 clip piece sets. 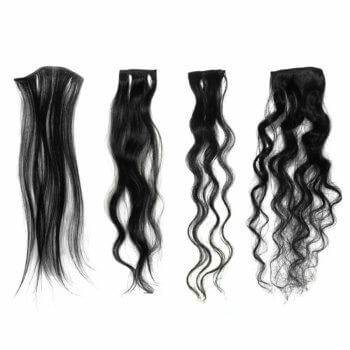 If you are looking for a quick new style with no glues or long-term bonding, then clip-ins’ are for you. Clip-In’s are easy to attach and can be matched easily with your own hair allowing you to have longer, lighter, darker, or highlighted styles with added volume. 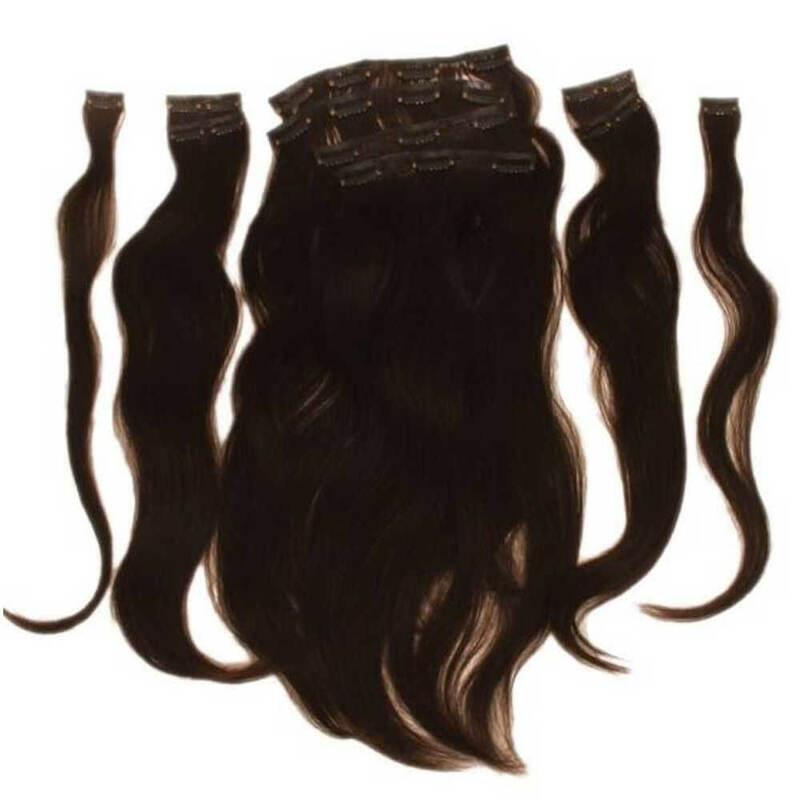 Our clip–in hair extensions come in multiple pieces (wefts) of varying widths with 8 clips to a set. They can be clipped in and out within minutes. 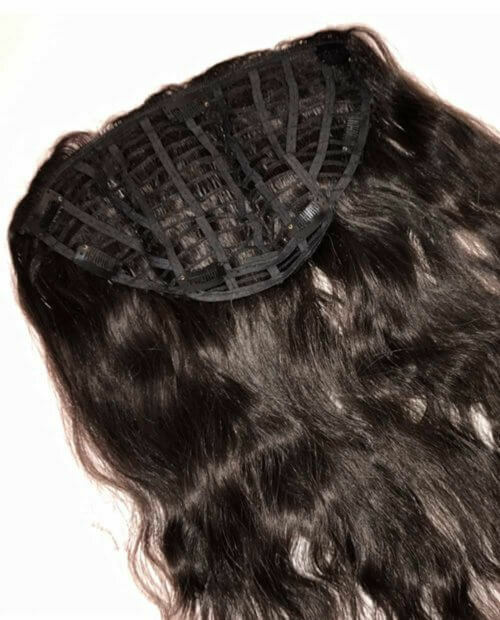 Our clip-in extensions are all human hair, so they last as long as you care for them. If not treated with proper care and maintenance they may need to be replaced every six months or so. 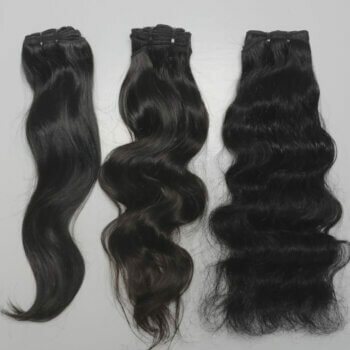 As with all our natural human Indian hair, they will last longer with proper care and continue to give you that look of natural brilliance that sets you apart from the crowd. 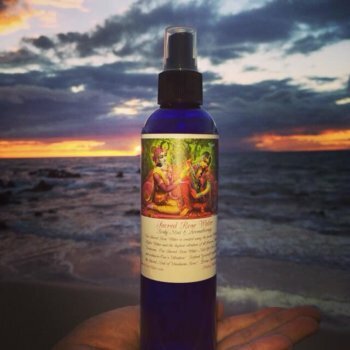 To order smaller (or larger) size sets, please contact us.